В середине 1930-х годов уинг-коммандер Л. Дж.Уокетт из ВВС Австралии для компании "Cockatoo Dockyard & Engineering Company" разработал прототип самолета Codock, на его основе был спроектирован легкий транспортный Tugan LJW.7 Gannet. Этот высокоплан строился ДальшеMore>>> "Tugan Aircraft Ltd" из Сиднея и был оснащен двумя моторами Gipsy Six по 200 л. с. Прототип Gannet выполнил первый полет в октябре 1935 года, но вскоре разбился. Кроме прототипа построено еще шесть или семь самолетов. Производство прекратили после покупки "Tugan" фирмой "Commonwealth Aircraft Corporation". Самолеты состояли на вооружении ВВС Австралии и использовались в качестве санитарных до конца Второй мировой войны. 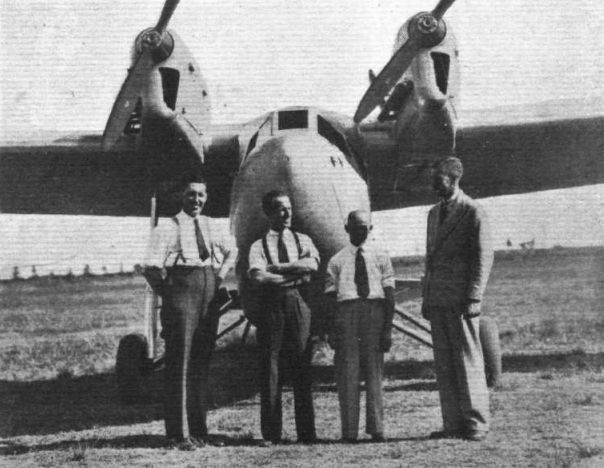 SAID to be the aircraft basis of Sir Charles Kingsford Smith's tender for the Australia-Singapore link in the England-Australia air service, the Wackett “Codock'' (a contraction of Cockatoo Dock) is a cantilever high-wing monoplane, to be powered by two Napier "Javelin" engines. The machine, construction of which has now been begun, is estimated to have a maximum speed, according to our Australian contemporary Aircraft, of 140 m.p.h. and a cruising speed of 116 m.p.h., while the estimated rate of climb is 800 ft. /min. and the ceiling 19,000 ft. With one engine stopped the ceiling is calculated to be 5,000 ft. The range on one engine is expected to be in the neighbourhood of 400 miles. The contract price for the machine is stated to be ?3,700. The general arrangement of the "Codock" is shown in the accompanying side elevation, reproduced by courtesy of the Vacuum Oil Company. It may be added that the construction is planned very much on Fokker lines, the wing being a plywood-covered wooden structure and the fuselage a welded steel tube girder with fabric covering. Wing Com. Wackett is reported to have had the design all planned out before receiving the order for the machine, but certain changes had to be made as a result of the substitution of the Napier "Javelin" engines for those originally contemplated. When the "Codock" has been flight tested, it will, it is expected, be tried out on a flight to New Zealand side by side with the old Southern Cross. RECOGNITION TEASER - Not the Tugan Gannet but the equally rarely-illustrated Wackett Codock of April 1934, built by the short-lived Cockatoo Island Dockyard & Engineering Co., Pty. W /Cdr. L. J. Wackett is better known for his wartime Boomerang fighter and primary Wackett Trainer. Intended as a five-seat light transport, the Codock prototype, VH-URP was powered by two 150-h.p. Napier Javelin inlines. The design was not proceeded with and W/Cdr. Wackett left to join Tugan Aircraft/General Aircraft, Pty., Ltd., where he produced the twin Gipsy Six-powered Gannet. ALL-AUSTRALIAN: On March 6 successful first trial flights of Sir Charles Kingsford Smith's Australian-built monoplane, the "Codock" (Napier "Javelin" engines), were carried out at Mascot Aerodrome. Here we see a portion of the "Codock," with (from left to right) Wing Commander Wackett (designer and builder), Sir Charles Kingsford Smith, Sqd. Ldr. (Tiny) White (who will fly the machine to New Zealand), and Mr. M. P. Allsopp (Aviation Representative of the Vacuum Oil Co., Pty., Ltd.). Plume and Mobiloil Aero W. were used during the test flights. 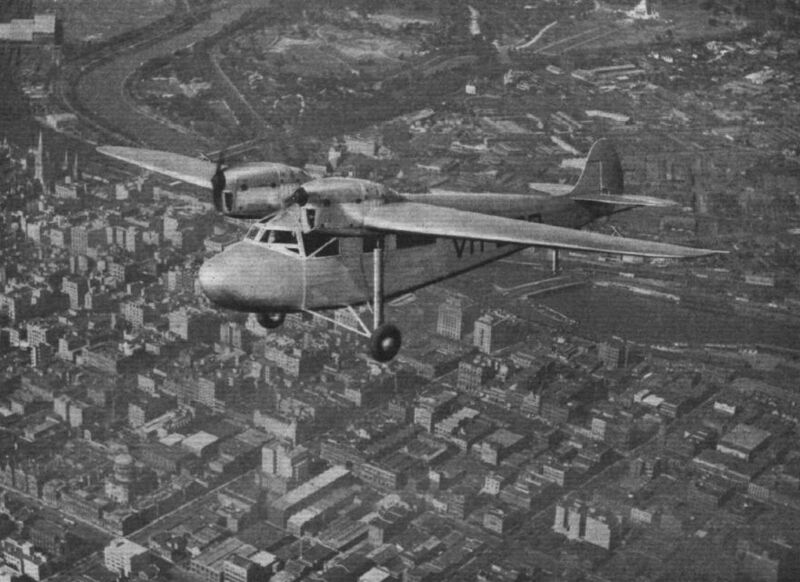 AUSTRALIAN-BUILT: The "Codock" monoplane (Napier "Javelin" engines) flying over Melbourne. THE "CODOCK": In our issue of September 14 we published a side elevation of the machine designed by Wing Com. Wackett for Sir Charles Kingsford-Smith. This photograph of a scale model gives an even better idea of the "Codock." The engines are two Napier "Javelins" and the machine will have a wing span of 52 ft., a tare weight of 2,620 lb., and a gross weight of 4,500 lb. There will be seating accommodation for six passengers, and the range with full load is calculated to be about 500 miles.